The groups price can be for person 1o Euro per night. We cam organaise and transport from Aeroport to hostel the price can be 5 Euro per person. From bus station to the hostel price can be 2 Euro. Make your base right in the heart of Pristina, in our modern Hostel, which is located in the center of the city. And except our warm welcome we offer standard conditions with some of the best prices in whole town! 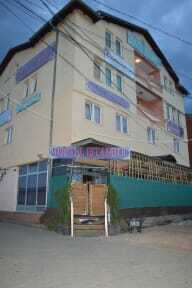 From our hostel you can easily move inside and around of Pristina for a very short time. In all four seasons our friendly guest house offers bed and breakfast accommodation in in single, twin or double, triple and family bedrooms all with washbasin facilities. 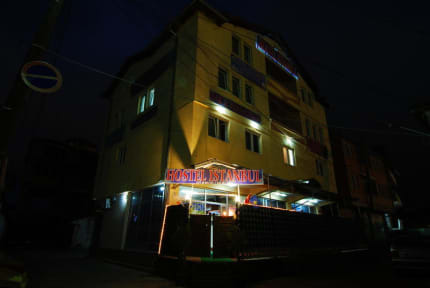 We provide free wireless internet, and all rooms are equipped with TV, Hair Dryer, Air Refresher, Heater etc. Would you like to wash your clothes here and iron them, no problem we can do it for you! Bathrooms and toilets are shared and are available in each floor, and also we have a good parking place if you wish to come with your car, a small garden if you would you like to relax, a restaurant and a bar, where during the nights we will organize party's with traditional Albanian, Classical and modern music! Free breakfast included in price. Our special offer is that if you decide to stay more then 6 days the price with be 9 Euros, if you stay more than 15 days the price will be 7 Euros, breakfast included.